Internet of Things startup Wi-Next will add IBM analytics to its systems for industrial quality control and predictive maintenance. 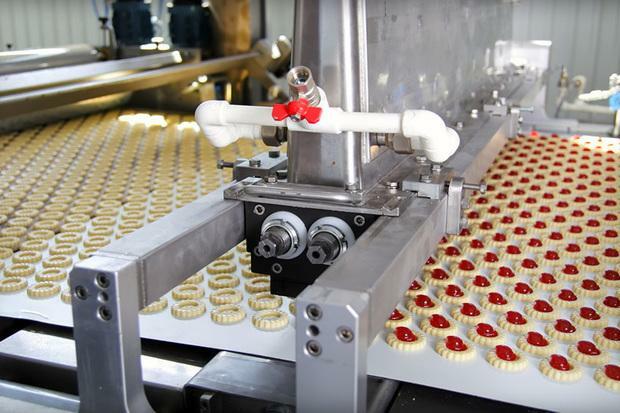 The added capabilities, including some powered by artificial intelligence, are designed to help food-processing companies and consumer product makers keep production lines running smoothly despite what's sometimes a breakneck pace. The partnership should help deliver one of the most important benefits promised by industrial IoT: preventing unexpected shutdowns. It's also aimed at keeping every product that rolls off the line exactly the same. Industrial machines have had ways to talk to each other for years, but often with limited, proprietary tools. With industrial IoT, the options for collecting and analyzing data are growing. Wi-Next makes devices and software for collecting data from industrial gear, especially in the food service and consumer goods industries. For example, sensors on a bottled-water production line can check how much each bottle is being filled. The sensors can can send that data through a Wi-Next Wi-Fi node on the factory floor to Wi-Next gateway software. Wi-Next can act as a bridge between legacy machine-to-machine systems and modern networking and analytics. Enterprises can route that information into traditional databases and ERP systems or send it to cloud services via APIs. Then they can analyze it, after the fact or in real time, to better understand what's going on in their facilities. Wi-Next's partnership with IBM lets users tap into powerful analytics capabilities in IBM's BlueMix cloud platform, including its Predictive Maintenance and Quality software. The billions IBM has invested in advanced analytics are more than any startup could bring to the equation, Wi-Next CEO Armando Pereira said. IBM's artificial intelligence can learn how a machine behaves over time and predict what adjustments have to be made, Pereira said. Cognitive computing features can sift through a variety of data points to detect failures of quality in real time. Enterprises can use those tools in IBM's cloud or integrate them with the Wi-Next gateway software on their own systems. The second option is critical because many of Wi-Next's customers don't want information about their operations to leave the premises, Pereira said. For example, data like temperatures, pressures, cooking times and humidity levels are trade secrets for a chocolate maker. Wi-Next was founded last year in Milan and is now based in Palo Alto, California.